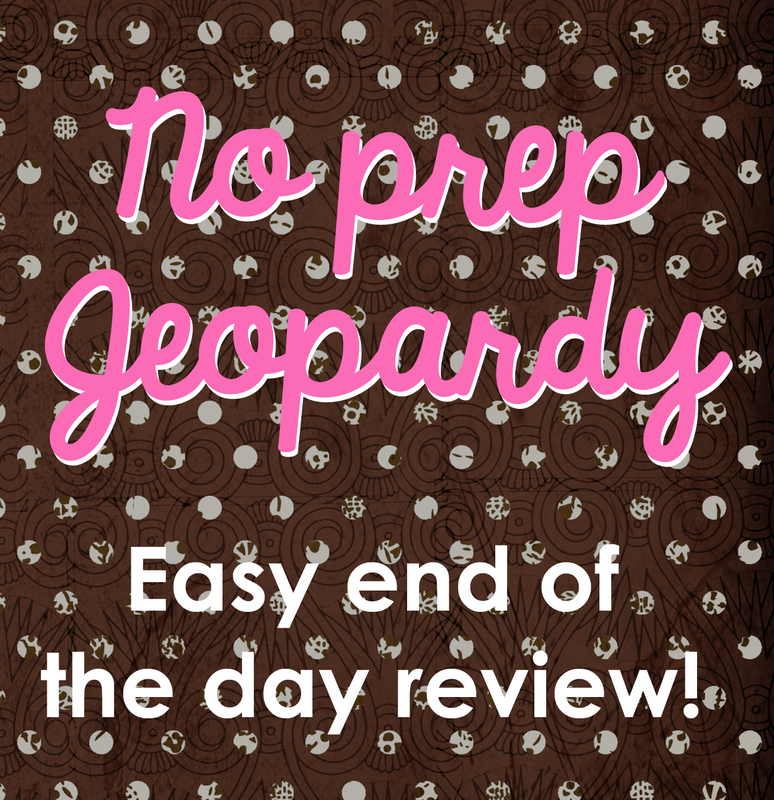 End of the Day Review- NO PREP Jeopardy! Sometimes you have a few minutes left at the end of the day you’d like to use productively. Divide your class into small groups (super easy if you have kids in tables already) and let a team choose a question. MAKE UP QUESTIONS AS YOU GO! Killer easy right!? Just make the higher point values a little more challenging. You can make any kind of question you want: multiple choice, true/false, fill-in-the-blank. Just do it! This entry was posted in Games, Grammar, Math, Math Games, Science, Social Studies, Word Study/Spelling and tagged Children, Education, Elementary School, Homeschool, Kids, Teacher Resources, Teachers, Teaching by Squarehead Teachers. Bookmark the permalink.